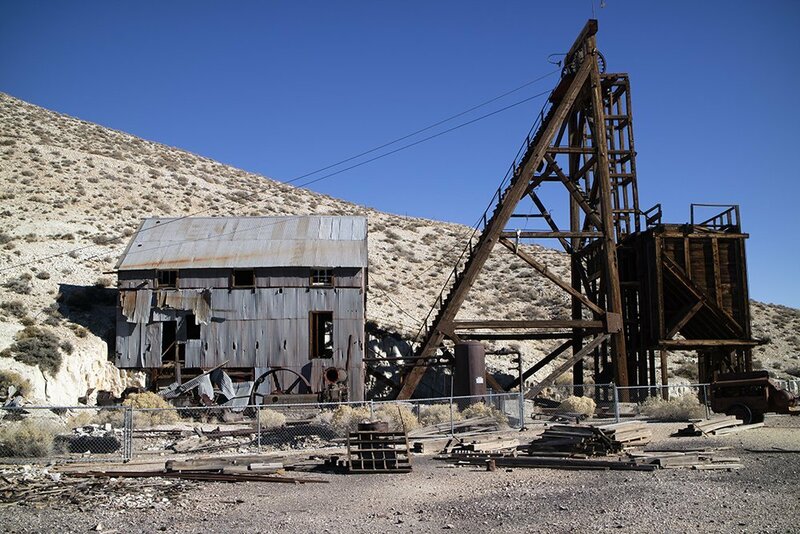 The Tonopah Historic Mining Park Foundation has begun fund raising to physically secure what’s known as the Silver Top Headframe, one of three located at the Mining Park. A headframe is the signature feature of any large mine, permitting the hoisting of workers and ore from deep below to the top of the complex. A very few 2019 calendars, printed to help raise funds for the Foundation, are available at the Mining Park Visitor center for purchase. While it may be winter, planning a park visit can start now by checking out its website or by reading up on Tonopah’s fabled mining history. Make sure to stop in if you’re heading to Quartzsite in January or Tucson in February. There are other reasons to go to Tonopah. Anyone going to or leaving the Southwest by way of US 95 in Nevada should stop for many excellent reasons. The first is fuel, since the nearest gas stations are 100 miles north and south of town. 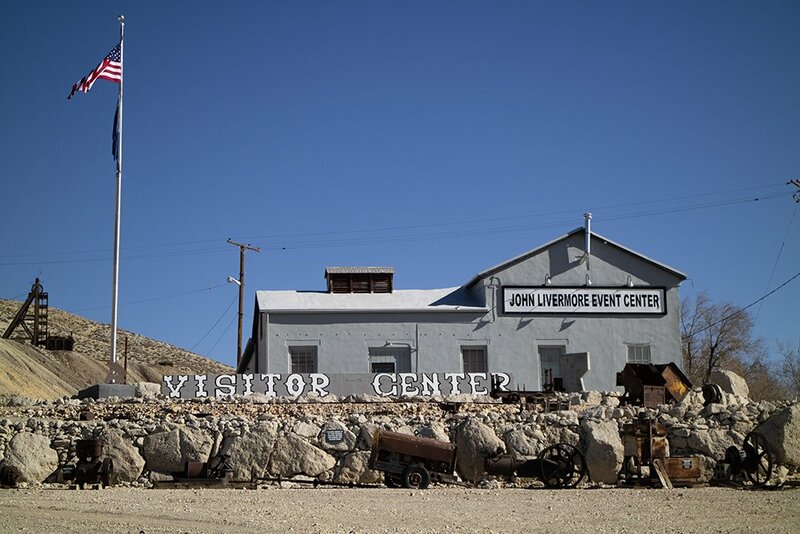 After you’ve topped your tank, consider visiting the Central Nevada Museum in Tonopah, the city’s best kept secret. After that, stop by Whitney’s Bookshelf, right on 95, a fine used bookstore, often with excellent mining books. Hometown Pizza is across the street if you are hungry, usually serving pizza by the slice. If you’d like different fare, try the Pitman Cafe in the historic and period restored Mizpah Hotel. If you’re not in a rush to get out of town, think about getting a room at the Mizpah. I like the corner room on the fourth floor, the one with the claw foot bathtub. I think it is 409. But I digress. 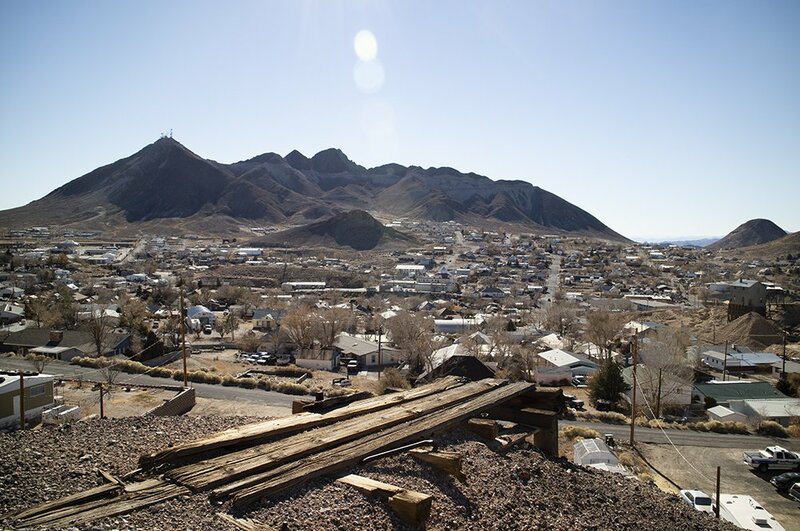 The best reason for any prospector or rockhound to stop in Tonopah is the Historic Mining Park, owned by the city and operated under regular, dependable hours. 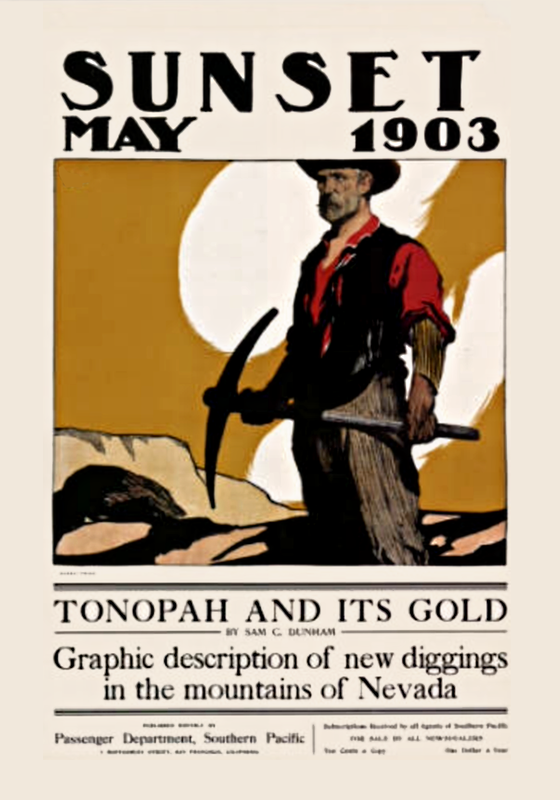 Tonopah was America’s last great gold and silver strike. You’ve heard about the Gold Rush of 1849, the Comstock, and the Klondike. But there was also Tonopah in 1900 and for years thereafter. The visitor center and the the park grounds highlight this stupendous and spectacular hunt for precious metal at the turn of the century. The park is right behind the Mizpah Hotel. The entrance road is best approached in larger vehicles by Burro Street. The visitor center parking lot has room for two or three RVs and the exit road is a pull-through, so there is no worry about having to back up. The grounds offer a self-guided tour. Pick up a map at the visitor center which also houses a terrific rock, gem, and mineral museum. As for the grounds, hiking the park at 6,000 feet can be tough at times but take it slow and take some water. Great opportunities for photographs. For those out of shape or mobility challenged, tours on a Polaris with a guide can be arranged. Call for current availability and charges.